For a typical site building project you might need dozens of modules to get the full functionality you need. Sometimes there are several options to solving the same problem, and it can be handy to be able to quickly assess the chances of a module doing it says it will do. Here we talk through a simple 5-step process to evaluate whether downloading and installing a particular module is a good move. Before we install this module, let's talk more generally about how we decide whether a module is a good one to install. The first criteria of course is that it solves a problem that we have. In this case even though you haven't seen exactly what it does, Admin Toolbar holds the promise of more easy administrative navigation, which is something that we need. The next thing we need to do is figure out whether this is a solid module, one that won't break our site, or open up security flaws. There's a lot of information here on this module page, but if you learn how to break it down, you can quickly evaluate the health of the module. I typically look at about five specific factors, and if a module is good on two or three of those, then to me it's worth installing and experimenting with. The first thing I look at is how many sites are using this. I'm going to scroll down to the bottom and there's this bold number here that says there's 12,000 sites currently reporting using this module. The way this number is reported is through the update manager module which is the same thing that sends us e-mails if a new version of Drupal 8 gets released, so if that module is disabled, then it won't report any numbers to drupal. org, so this number doesn't take into account all the people that have that module disabled. 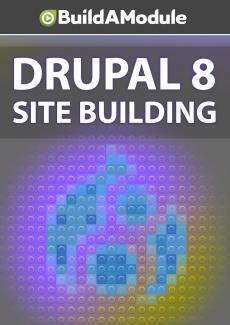 This number aggregates all of the different versions of this module across the different versions of Drupal. We're specifically interested in Drupal 8, so we can drill down a little bit more by clicking on this View usage statistics link. If you scroll down, up here it shows us the latest measurement, and on the 8 branch, which is Drupal 8, it shows a full 12,000. For this I look for any number more than a few hundred. If it's over 1,000, that's a very strong indicator that the module is healthy. I'm going to go back. The next factor I look at is the ratio of open issues to closed issues, and you can see right here under All Issues it has an open and total. Anything that's not open is closed, so there's about 100 closed and 25 open. This seems like a solid ratio. If more than half of the issues are still open, then that's an indicator to me that there might not be a lot of activity going on with the project. As I'm looking at this number, I'll also click on this total link and browse the titles of the issues that have been most active recently.